Episode 029: How to Become a Software Developer! Featuring: Drew & Angela Munson, Material Science Engineers. Episode 27: Special Parent's Edition Pt. 2 Ft. Matthew Einsohn! Hello and welcome to the Mentors 4 Teens College, Scholarship, & Career Guidance podcast. A podcast designed for students, and their parents, who are challenging the modern definition of what it means to be a student. We don’t believe in standardization, being average, or following the status quo! We are the free thinkers, continuous learners, and change-makers of tomorrow. We define your own destiny, create our own luck, and change the world! In this podcast, you will learn the latest and best tips, advice, and guidance designed to ensure elite university acceptance, scholarship success, and most importantly helping your teenager discover what gets them fired up to ensure they find a career that brings both happiness and financial stability! We will bring in young successful mentors in a variety of industries who will give actionable tips and advice on how they got there and how your teenager can get there faster with less or no student debt! In addition, we will bring in College admission officers, College consultants, financial advisors, parenting experts, scholarship experts, current elite College students and more! If you enjoy this podcast you will absolutely love our FREE webinar where we will teach you 3 secrets necessary for College, scholarship, and career success! Secret #1: The #1 skill students need to have a successful career. Secret #2: How to get a $100,000 scholarship with a 3.5 GPA. Secret # 3: The secret ingredient to getting accepted into schools like Harvard & Stanford. Reserve your seat to our next webinar today! 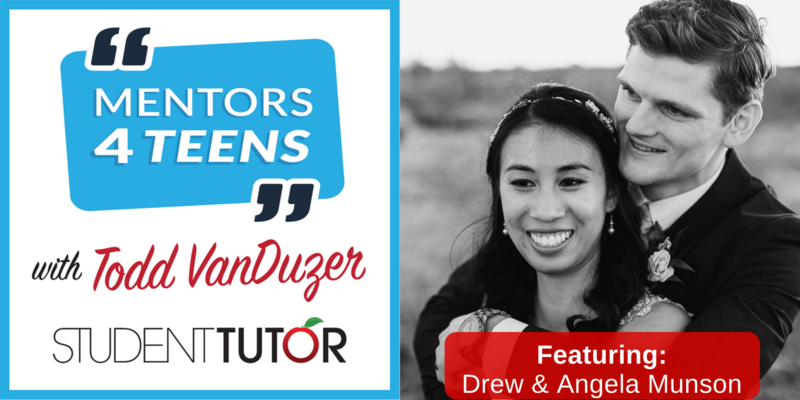 student-tutor.com/webinar Together, Let's Spark Bright Futures!